SANTA MONICA, CA, UNITED STATES, October 31, 2018 /EINPresswire.com/ — In 2011, The Department of Health and Human Services’ Office for Civil Rights (OCR) began auditing healthcare providers and business associates to determine overall compliance with HIPAA’s privacy and security laws. At a recent HIPAA security conference, OCR Director Roger Severino announced that the next round of examinations will be focused on enforcement and the upcoming audits will use harsher investigative tools to hold bad actors accountable. Enforcement for noncompliant offenders may include subpoenas, legal action, reimbursements to victims, penalties, and more. Additionally, Bloomberg Law recently reported that OCR has been ratcheting up enforcement actions over the past three years, and as random HIPAA audits occur, increased penalties will most likely result. Jeff Broudy, CEO of PCIHIPAA states, "Overall we see less than 20% of all practices and business associates have implemented the safeguards required under HIPAA. In preparation for the next wave of HIPAA audits, we are providing all healthcare providers and their business associates complimentary risk assessments and reviews so they clearly understand what is required, and to help identify the right actions to take in case of an audit." Under the HIPAA Notification Rule, covered entities that experience a HIPAA data breach must self-report the breach to HHS. Some practices aren’t aware of the rules, so audits will help with compliance and overall enforcement. Penalties are no longer immaterial. Average fines range from $100 to $50,000 per HIPAA violation, and are capped at $1.5 million per year. HIPAA compliance must be addressed continuously. It’s not a checkbox or a “one and done” process. Also, the same HIPAA safeguards required by a hospital or a health plan also apply to dentists, doctors, and their business associates. Anthem’s recent $16 million dollar HIPAA fine, and Mr. Severino’s position above, should be a warning to all healthcare providers and business associates. Broudy adds, "HIPAA requires documented remediation plans. We find this important, yet cumbersome for many dentists and doctors. Often they don’t have the resources that hospitals and larger entities possess. Not only does PCIHIPAA provide a compliance roadmap for healthcare providers, but we also include $500,000 in cyber insurance for all of our clients. HIPAA audits, ransomware attacks, data breaches, and network security incidents happen. We guarantee our clients are covered, just in case." 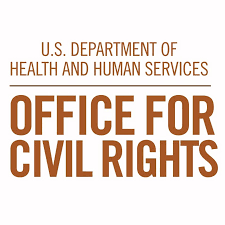 The U.S. Department of Health and Human Services (HHS) Office for Civil Rights (OCR) enforces federal civil rights laws, conscience and religious freedom laws, the Health Insurance Portability and Accountability Act (HIPAA) Privacy, Security, and Breach Notification Rules, and the Patient Safety Act and Rule, which together protect your fundamental rights of nondiscrimination, conscience, religious freedom, and health information privacy.